You are here: Home / Blog / SDN / NFV / Are telcos meeting customer expectations? 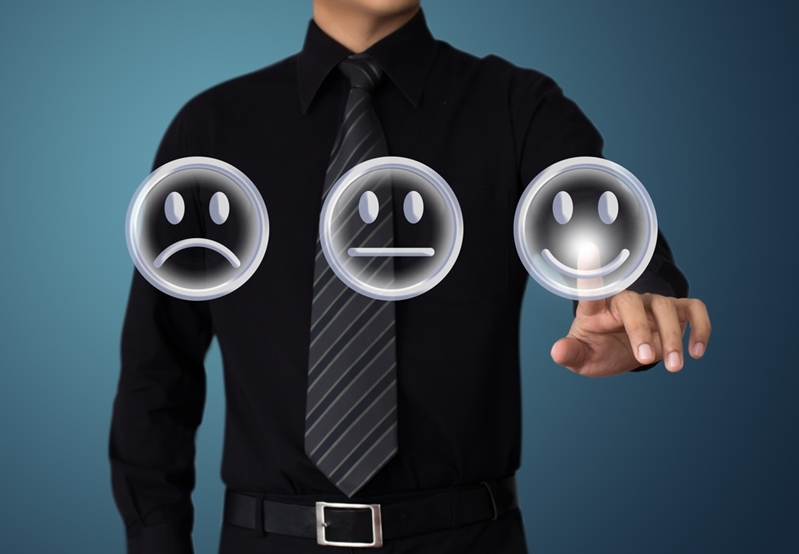 Are telcos meeting customer expectations? Meeting customer expectations can often feel like hitting a moving target for telcos. With a quickly diversifying technological landscape, telecom companies need to account for various devices and user connection needs, from traditional Ethernet to robust wireless networks. Workloads are becoming more resource-intensive, requiring more bandwidth and faster transfer speeds. To keep up with these demands, telco networks need to be quicker, more reliable and more dynamic. The slightest dip in service quality could derail a long-standing relationship and put it on shaky ground. In addition, customer-facing portals need to be user-friendly and easily navigable. For business clients, especially, the telecom customer experience is paramount, and telcos should be doing everything they can to create the best impression possible. Now and in the future, telecom networks are going to be pushed harder by escalating customer needs. Various factors such as mobile devices, cloud solutions and the Internet of Things are driving demand for faster network speeds and the ability to accommodate a more diverse range of connections. As traffic usage has ramped up over the years, industry members have had to scramble to keep up and provide stable, high-quality telco services. "Telecom networks are pushed harder by escalating customer needs." While it may be difficult for some to recall a time when the internet was not a pervasive force in the business world, telecom companies have actually had precious little time to bolster networks and provide suitable foundations to support ever-increasing demand. In fact, according to Ronin Technology Advisors, there is more internet traffic in 2017 alone than all previous years combined. Accounting for this massive uptick in network traffic and needs for maintaining robust service delivery standards is one of the biggest challenges telcos face going forward – especially considering that customer demands show no signs of slowing down. Increasing network capabilities to keep pace is an expensive proposition and may not be a valid way forward for many telecom companies, however. Instead of trying to out-muscle customers' network expectations, the better approach may be to allocate available resources more strategically. That's where software-defined networking comes into play. By separating the control plane from the data plane, SDN opens up new opportunities to dynamically shift around network resources to meet fluctuating user demands. Managing networks in this way allows telcos to quickly respond to customer needs and continually meet service quality expectations even when they exceed normal capabilities. This can either be done on a case-by-case basis by a manual operator or automatically based upon priority lists. Many members of the telecom industry have already recognized the sheer potential of this technology to drive their capabilities forward. A 2017 Network World survey found that 18 percent of respondents currently use SDN in some capacity, while another 49 percent were either had a pilot program in place or were considering embarking on a similar initiative. In time, SDN will shed its image of a new, disruptive force in the tech space, and become the status quo. The quicker telcos embrace this technology, the sooner they can begin reaping its benefits. SDN can help telcos improve service quality and customer satisfaction levels. Service quality is only one aspect of the overall customer experience, however. Telco clients desire more control and insight into their accounts, demanding greater access to self-service tools. In fact, Gartner has predicted that 85 percent of business relationships will be conducted without any direct interaction between the customer and a human enterprise representative by 2020. Deloitte's research supported this outlook as well, noting that people overall prefer to reach out to companies online rather than by phone. Creating a self-service portal is essential to meeting telecom customer expectations and giving clients more insight into the details of their account. Cloud-based platforms enable customers to access and make changes to their account from anywhere and at any time. A robust self-service portal should allow users to address any number of issues from a single location. These may include billing and invoice management, help desk requests and service provisioning to scale up network capabilities on an as-needed basis. Live chat is another key feature that should be included in any customer-facing telecom portal. When something goes wrong, people want to have more options for outreach, and not necessarily interact with their service provider via phone or email. Making it easier for customers to communicate with your company and enabling them to engage on their own terms drastically improves the overall experience. As much as any factor, the key to customer experience success is usability. Any self-service platform needs to be user-friendly and easy to navigate. Employing a telco cloud portal with this philosophy in mind will put you on the right track to not only meeting but exceeding customer expectations. https://cloudsmartz.com/wp-content/uploads/2017/11/SDN-and-selfservice-tools-can-help-improve-telecom-customer-experience_16001472_40043679_0_14130246_500.jpg 375 500 Matthew Ray http://cloudsmartz.com/wp-content/uploads/2018/12/CloudSmartz-Logo-300x134.png Matthew Ray2017-11-13 13:18:002018-03-29 20:56:28Are telcos meeting customer expectations?